RoundCube is our preferred webmail client. It is fast, lightweight and very easy to use. RoundCube is well known for its Ajax driven user interface. Logging into RoundCube is very easy. 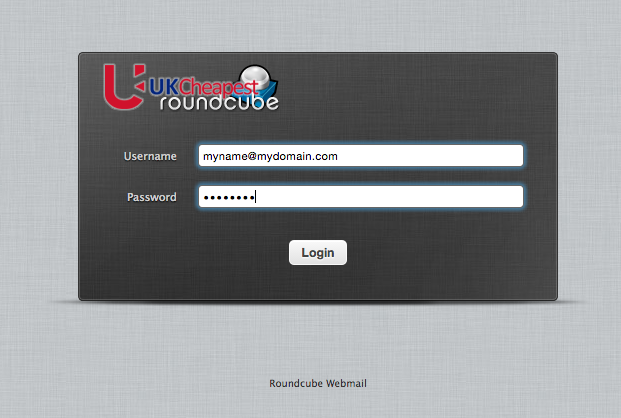 Unlike AtMail, RoundCube requires your email address – all of it – as your username. If you are used to AtMail then you may be accustomed to typing only the prefix. All of our Plesk 12 hosting services now use RoundCube as default. AtMail is no longer offered as an option due to performance issues. Unfortunately the AtMail address book is not compatible with RoundCube, you will have to recreate your entries. View the RoundCube User Guide to gain the most from this brilliant webmail application.